Car accident injuries can be scary and may not always be obvious. 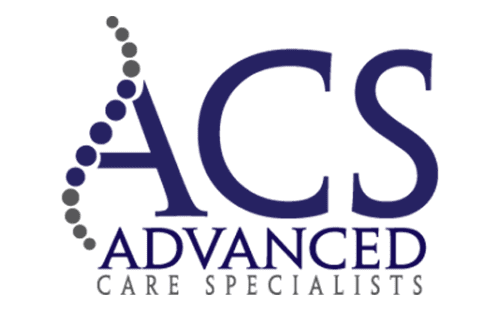 The chiropractors at Advanced Care Specialists in Racine and Mount Pleasant, Wisconsin, are experienced in treating such injuries and can provide you with a post-accident evaluation. Regardless of their severity, injuries related to a car accident require medical attention. Injuries that go unnoticed may worsen and increase the severity of your symptoms. Call office to schedule an appointment as soon as possible to prevent further trauma from developing. When should I seek medical care after a car accident? Some car accident injuries resolve within a matter of days without any medical treatment at all. More serious injuries lead to permanent damage and result in some level of physical disability. Some symptoms following a car accident may appear delayed, and if not treated, these injuries can become more severe. Neck or shoulder pain and stiffness, which may be a sign of whiplash. Another common car accident injury is a herniated disk. A herniated disk tends to be less severe than spinal damage or head injuries but can still cause significant problems. With these injuries, you often experience numbness or tingling sensations, muscle weakness, and arm or leg pain. Although, the most well-known injury from car accidents is whiplash. What mental trauma could I experience after a car accident? As recorded by the National Highway Traffic Safety Administration, more than three million people are injured each year in car accidents. Automobile-related injuries, however, are not just physical. It is common for you to experience emotional issues such as disorientation, depression, and anxiety. PTSD is also a common development after you are involved in a vehicle accident. Reach out to the staff at Advanced Care Services so they can help you to identify symptoms and work with you to develop a treatment plan to meet more than just your physical needs. Rehabilitative care can help to minimize chronic pain and distress that influence your psychological symptoms. Book an appointment online or call Advanced Care Specialists today to have one of the experienced staff members provide you the peace of mind through an examination and guide you in your recovery.